The next book of The Lost Elf series is nearing completion! Liberation! I’m happy to say that all I need to do now is format it for Amazon. 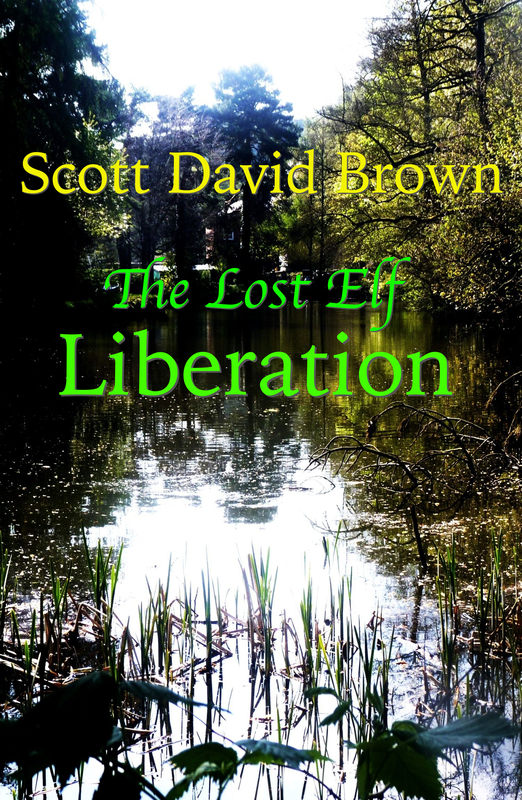 The Lost Elf: Liberation continues the story about an elf with amnesia and his goal of remembering who he is. It moves into a dark turn, and yes there is a lot of violence in this one. However, we see the beginning of the end to his amnesia and in book 4, he should be back to normal! The demons once again make an appearance, playing a larger role in the story. With book one, the elf makes his introduction and we begin to learn a little bit about his character. Book 2 reveals more about the elf and the political climate of his world. Book 3 brings us much closer to the elf’s true identity, and we see a major struggle with evil. Thankfully there are still new friends to be made! Book 4 is going to be my favorite, I think, because I get to introduce a new evil threat. So, no demons, but something just as sinister is on the horizon! I’ve had a lot of help with The Lost Elf series so far. I would be amiss if I didn’t mention Mark Mushakian, who has been very helpful during the editing process! His suggestions have played an important part in refining the story. I welcome his comments, even when I sometimes disagree with him. And of course I can’t forget Eleanor Leonne Bennett, the photographer I’m using for my cover art! I’ve been really impressed with her work and I feel her photos lend a realism and natural feel. This series uses nature as an important element to the story. Her photos bring that out, I think.